A mirror can be used to both look inwards and warp the way in which we see other objects. 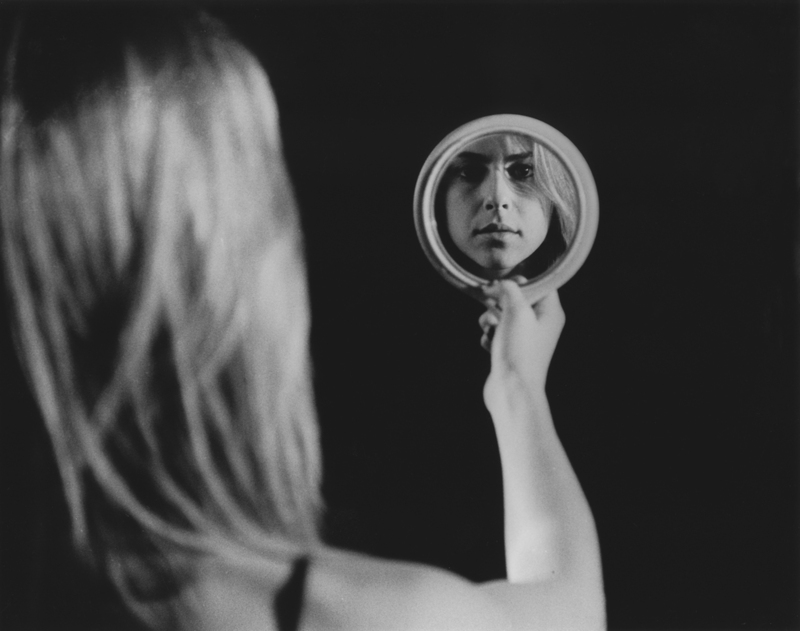 Reflection utilizes this contrast by looking at the same subject through multiple mirrors in a myriad of locations. Though the same person is shown, the interpretation of the subject is constantly in flux.